You can not help being overwhelmed by the serenity of Van Mieu (Temple of Literature) and Quoc Tu Giam (National University) from the moment you pass through its towering gates. Together, they make one of Asia’s loveliest spots. Hidden from the humming metropolis behind high stone walls and ancient Frangipani trees are some of Vietnam’s most magnificent religious structures and historical treasures. Great pools filled with blooming Lotus bear names like "Well of Heavenly Clarity". Dating from 1076, this was this part of Asia’s most prestigious center of learning for aristocrats and the children of the Mandarins. The focal point of the site is the Sanctuary dedicated to Confucius, which is filled with elaborate Chinese reliquary. Live performances of traditional folk music by costumed women are ongoing during public hours. One can visit Hanoi's attractions by discovering them himself or herself (read our suggesteditinerary for walking tour) or with a prebooked guided Hanoi city tour. Although not at its geographical center, after the expansion of Hanoi into a major metropolitan area in 2009, little Hoan Kiem Lake remains the very heart of life in Hanoi. According to a 15th Century legend, a giant turtle presented Emperor Le Loi with a magic sword with which to defeat Chinese invadors. In accordance with their pact, the Emperor returned the sword to the turtle after a glorious victory in battle. Thus, the lake was named Hoan Kiem, or "restored sword." Ngoc Son Pagoda sits on an islet at the North end of the lake. The oldest structures in the complex dated back to 1225, though most of what you see was either built or reconstructed in the 19th century. In addition to the two beautifully ornate Confucianist sanctuaries dedicated to various long-dead humans, a huge stuffed turtle (which most certainly never swam in this lake) resides in a glass display case. The spot is lovely, not only for the ostentatious architecture, but for interesting people who take refuge from the city here. Your camera may capture old men playing checkers in the Pavilion of the Stelae, someone fishing quietly among the willows which practically obscure the island from view, a couple posing for their wedding photo with the Tortoise Pagoda in the background, or the young photographers who always gather on the red wooden bridge. Some of the 36 streets that make up the Ancient Quarter still offer only a single commodity. One of the best is Hang Quat, where shops sell an incredible array of lacquered wood candle sticks, bowls, picture frames, religious shrines, and decorative pieces. Practically every single item is painted in some combination of red, white and gold. Many of the things are elaborate to the point of being garish. Since prices are staggeringly low, buy what you can. Like folk art in other developing nations, these uniquely Northern Vietnamese handicrafts will begin to die out along with the present generation of artisans creating them. The shelves of shops in Ho Chi Minh cityare already filled with factory made schlock. Sadly, this will happen in Hanoi soon enough. Vietnamese silk is among the world’s finest. Hang Gai (thread street) has for centuries been home to some of Hanoi’s best silk shops. Hanoians are proud people; they take pride in their cuisines, their etiquettes, their rich tradition and about their own love for the city not only to international tourists but also to people from other provinces in Vietnam. Hanoi food is listed among things you should try before leaving to another world. (read our top 5 must-try foods in Hanoi). Adding to that, Hanoi is packed with museums, monuments, cafes, restaurants, discos, handicraft stores and almost anything that make your stay both convenient and entertaining. 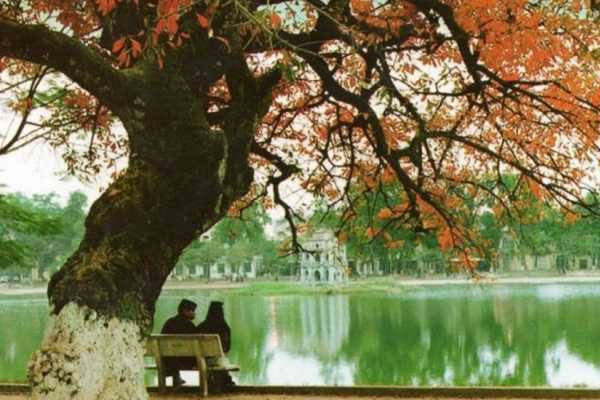 Most travellers spend about 2-5 days to tour the city but should you fall in love with Hanoi, you can always stay longer! The region around present-day Hanoi was settled in prehistoric times, and the location was often chosen as a political centre by Chinese conquerors. In 1010 Ly Thai To, the first ruler of the Ly dynasty (1009–1225) of Vietnam, chose the site of Hanoi—then called Thang Long (“Rising Dragon”)—for his capital. Thang Long remained the main capital of Vietnam until 1802, when the last Vietnamese dynasty, the Nguyen (1802–1945), transferred the capital south toHue. The city occasionally was renamed for periods of time, and one of these names, Dong Kinh, given to it during the Later Le dynasty (1428–1787), became corrupted by Europeans to Tonquin. During the French colonial period (1883–1945) the name Tonkin was used to refer to the entire region. In 1831 the city was renamed Ha Noi (“Between Two Rivers”) by the Nguyen dynasty. Under French rule, Hanoi again became an important administrative centre. In 1902 it was made the capital of French Indochina. This was largely because of Tonkin’s proximity to southern China, where the French sought to expand their influence, and because of Tonkin’s mineral resources. Hanoi remained the administrative centre during the Japanese occupation (1940–45) of the territory. In August 1945, following the Japanese surrender, the Viet Minh under the leadership of Ho Chi Minh seized power in Hanoi, and the city was established as the capital of the Democratic Republic of Vietnam. The French, however, reasserted their control over Hanoi from 1946 until their defeat at Dien Bien Phu on May 7, 1954. Shortly thereafter Hanoi became the capital of the Democratic Republic of Vietnam (North Vietnam). During the Vietnam War, the bombing of Hanoi by the United States in 1965, 1968, and 1972 caused massive damage. Following the collapse of South Vietnam on April 30, 1975, North Vietnam extended its control over all of Vietnam. On July 2, 1976, the Socialist Republic of Vietnam was proclaimed, and Hanoi was established as its capital. The city observed its 1,000th anniversary in early October 2010 by staging a number of events that culminated with a massive parade on October 10. Since 1954 Hanoi has been transformed from a primarily commercial city into an industrial and agricultural centre. Manufactures include machine tools, electric generators and motors, plywood, textiles, chemicals, and matches. Rice, fruits and vegetables, cereals, and industrial crops are grown in the surrounding area. Hanoi is also a communications centre. Roads link Hanoi with other major Vietnamese cities, and railway lines provide access to its port of Haiphong; to Kunming in Yunnan province, China; and to Ho Chi Minh City (Saigon). Small oceangoing vessels can sail to Hanoi on the Red River, and many small rivers are navigable from the capital to most parts of northern Vietnam. Hanoi has two airports. Many of Hanoi’s centuries-old monuments and palaces have been destroyed by foreign aggression and civil war, but there remain several historical and scenic points. Among the latter is Lake Hoan Kiem (“Lake of the Restored Sword”). 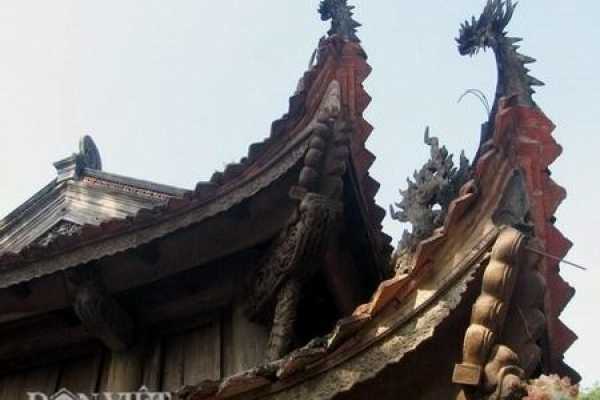 Historical sites include the Co Loa citadel, dating from the 3rd century bce; the Temple of Literature (1070), dedicated to Confucius; the Mot Cot (“One-Pillar”) Pagoda (1049); and the Temple of the Trung Sisters (1142). In addition, the Central Sector of the Imperial Citadel of Thang Long, built in the 11th century, was designated in 2010 as a UNESCO World Heritage site. The University of Hanoi, the Revolutionary Museum, the Army Museum, and the National Museum are important cultural institutions. Discover the soul of Vietnamese in its traditional tea arts. Visit the so-called “Hanoi Hilton” – the infamous Hoa Lo Prison that housed POWs during the Vietnam War. 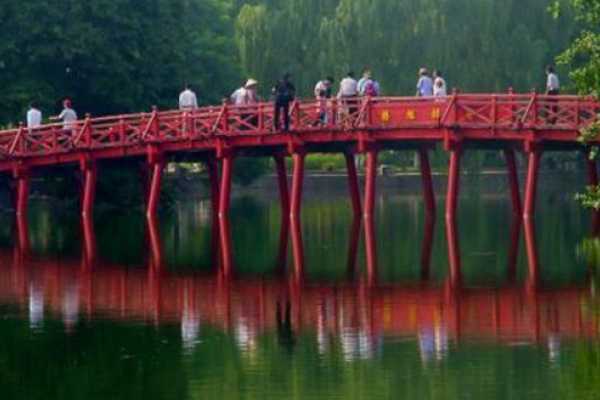 Stroll along the legendary Sword Lake to admire the reflections of its stunning bridge and temple. Marvel at the largest and oldest church in Hanoi, famous for its resemblance to the Notre Dame de Paris.